Even compared to the rest of the derivative slurry that post-grunge’s modern incarnations continue to pump out, there’s always something about Daughtry that falls below even that. It’s probably something to do with the fact that they originated within the American Idol machine, and with Chris Daughtry falling as the token rocker, the band formed around him could afford to be just safe enough to capitalise on that. It’s not as if that has to be the case (hell, Adam Lambert sings for Queen nowadays), but Daughtry’s music has always reeked of a band plundering the radio-rock banality of the time for guaranteed silent majority success. And lo and behold, they’ve only gone and fully embraced 2018 by grabbing it by the cojones and making a full-blown pop album. It’s not exactly a surprise; given the Imagine Dragons-ification of US radio-rock, it’s really the only way to go to get some success, and given that Daughtry already have the barebones, nondescript lyrical content on lock, making the change in sound should be easy enough. It doesn’t turn out well, mind, but it’s frankly impressive how many tropes and clichés have been fed into Cage To Rattle’s gelatinous mush, so much so that this whole album could’ve been created by bots given the lack of any intuition or actual human influence. At least there’s Chris Daughtry himself whose strident, powerful vocals have always been able to give whatever material they’re paired with something of a lift, and while they’re definitely more suited to ballads in fist-clenching, openly cheesy way (of which this album has its fair share), it’s surprising how well he fares with the groovier pop-rock of Bad Habits for a solid change of pace. But that’s pretty much it, as the rest of Rattle The Cage is so by-the-numbers in the absolute worst way possible in its flavourless mix of pop and post-grunge. It’s not even modern pop that Daughtry draw from most of the time either, rather the oversized, percussive bores that have thankfully gone out of style now, but are inexplicably trying to be revived here. As such, the likes of Heaven or As You Are feel so listless apart from the calamitous drums that are supposed to carry some kind of weight, but end up as remarkably clunky and overweight. Alongside a predictably over-polished mix, it’s an attempt at sounding current and contemporary that falls flat on its face. It’s barely even worth mentioning the lyrics either, almost embarrassingly basic in both execution and subject matter, but delivered with just enough conviction to fool a gullible audience into thinking something profound is actually being said. And yet again, it’s the pop / post-grunge checklist of relationships, rising up and powering ahead that’s gone through every possible permutation at this point, that what Daughtry think they’re going to achieve with the unformed swaggering of Stuff Of Legends or the mawkish, corny natural imagery of Deep End is a complete mystery. It all feels completely exhausted and drained of the meagre slivers of inspiration that had previously been there for a listen that, above all, feels totally pointless. But again, it’s not really surprising, is it? It’s not really surprising that Daughtry, a band who’ve gotten where they are by cashing in on trends and playing it safe, are doing the exact same thing again. And it’s not really surprising that there’s little to no worth from doing it. There’s bound to be an audience for Cage To Rattle – most likely the same audience that’s enabled Daughtry to somehow last this long – and if there’s enjoyment to be found here, then more power to you, but albums like this are the reason that radio-rock gets such a bad reputation; there’s no heart or passion here, but just giving the people more of what they want, and that’s extremely difficult to endorse in any capacity. 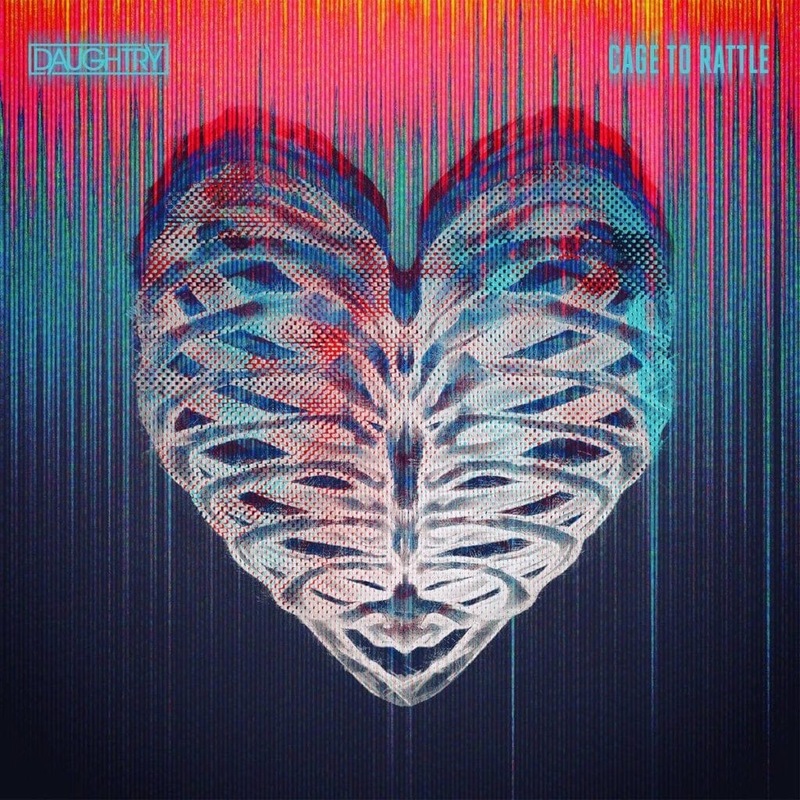 ‘Cage To Rattle’ by Daughtry is released on 27th July on RCA Records / 19 Recordings. You are a complete jerk and know nothing about music.